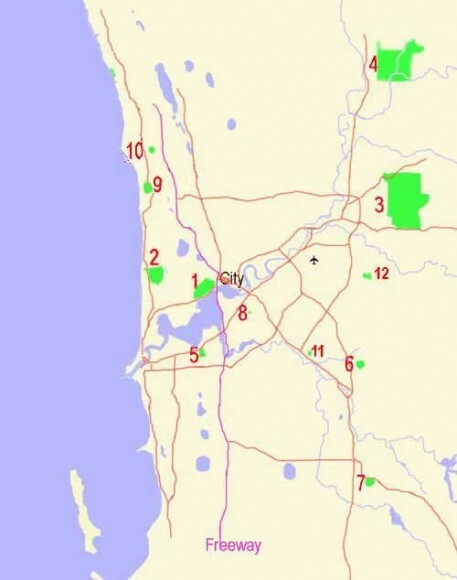 Perth is fortunate that we have retained many good bushland and wildflower sites within the metropolitan area. This sketch map shows the approximate position of just 12 of them. Download our rough guide to finding Good Wildflower Spots within the Perth area [PDF]. Much of it is bushland and there are extensive developed areas including a Botanic Garden. Originally a low forest of Jarrah and Banksias, there is now a wide array of wildflowers on show including the red and green kangaroo paw. Bold Park is bigger than Kings Parkand comprises near-coastal dunes and ridges and therefore has a different flora. It has several diverse ecosystems including banksia woodland and low heaths. If you are interested in innovative use of local plants in gardens, visit the Ecology Centre garden next door to Perry House. Wireless Hill Park has a very good range of flowers in spring. Red and green kangaroo paws are prolific and it is one of the few places near Perth where there is also a good crop of the smaller cat’s paws. There are also many orchids. Early in Spring there are Greenhoods, then Donkey orchids and, later, Spider orchids. In winter and spring, Ellis Brook cascades over a rock bar to form one of the few waterfalls in the south west. A made path leads up parallel to the stream and gives you good close-ups of a wide range of flowers while bathed in the scent of a “hazel” which grows along the stream. Views from the top are spectacular – and are earned, as the last stages of the climb are rather steep. But even half way is pretty good! This is the best-preserved remnant urban bushland between the Swan and Canning Rivers. It is a typical jarrah-banksia woodland on Bassendean Sand. The greatest species diversity is in the understorey, with in excess of 150 native species in just 9 ha. Despite the name, most of this reserve is firm ground. It is a large piece of bushland with an extensive network of walking paths. 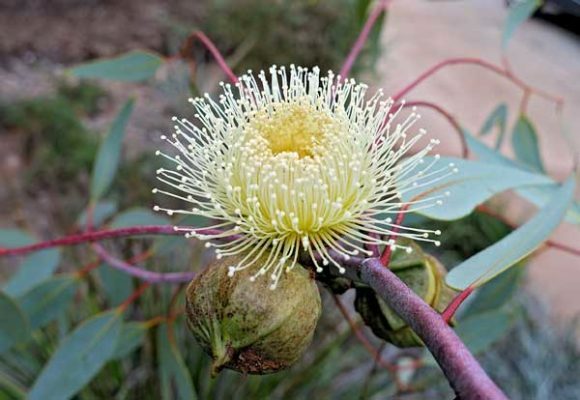 The vegetation is an open banksia-eucalypt woodland with an extensive ground flora. This is one of the better pieces of bushland in the coastal plain for the array of flowers and has fewer weeds than better-known areas. It is a great place for almost six months starting from the Templetonia flowers in July. This reserve comprises some of the vegetation of the heavy soils of the coastal plain. The best time to visit is from late September – when the pools are drying a little and the many water-loving plants are flowering. You will notice the bright flowers of Robin Red Breast. The small treewith the pea flowers and the broom-like habit is Swish bush – Viminaria. Towards the end of spring there are large areas of a rather attractive Verticordia in flower. There are good views over the plain from the top and many different places to stop. The flowers at the top are characteristic of the exposed parts of the hills and put on a wonderful display in September. Lower there are some moist gullies with rather different plants. Thanks to Dr Jim Barrow for providing this information.